Omaha real estate agent Dirk Blume has been charged with second-degree murder and use of a weapon to commit a felony after he ran over gas station clerk Seth Hansen. Blume was an independent contractor for Berkshire Hathaway HomeServices Ambassador Real Estate and is awaiting a preliminary hearing set for Feb. 10. 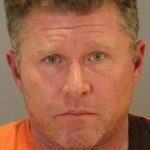 Omaha, Nebraska-based real estate agent Dirk Blume has been charged with second-degree murder and use of a weapon to commit a felony after he ran over Seth Hansen, a 40-year-old clerk at Speedee Mart, a local gas station. According to a report by the Omaha World-Herald, Blume stopped by Speedee Mart at 12:30 a.m. on Jan. 7 to buy a pack of chewing tobacco. Hansen told Blume he couldn’t sell him a pack since the store was closed. The two men began to argue, and Blume drove off in his pick-up truck. Hansen continued to perform his closing duties and walked outside to take the garbage out. The station’s cameras then caught Blume’s truck circling around. The truck hit Hansen and drove off, leaving him lying beside the curb. Officers who were responding to a “shots fired” call found Hansen and took him to a local hospital, where he later died. Because the hit-and-run happened at night, there wasn’t a clear visual of Blume’s face, but officers were able to capture his license plate and asked the community to call in if they saw Blume’s car. Ten days later, on Jan. 17, Blume was arrested at Berkshire Hathaway HomeServices, the brokerage he’d been working for. 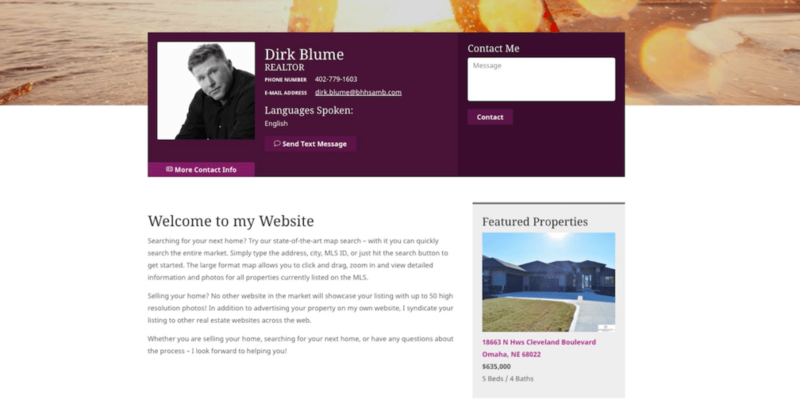 Blume’s former profile on BHHS. Former coworkers at Berkshire Hathaway HomeServices and NP Dodge Real Estate said they were surprised by the news, but further digging revealed a pattern of alcohol abuse and anger issues, according to sources speaking to the media. Nick Rose, an Omaha boat seller, said he had to call authorities when Blume became belligerent after Rose refused to let him take a test drive due to his drunken behavior the day before. In addition to this incident, Blume has been in court for a DUI (driving under the influence) charge, a failure to pay $42,412 in spousal and child support, and the failure to pay $91,000 on a $100,000 equity loan. Blume has been denied bond and will attend a preliminary hearing on Feb. 10. He is facing 20 years to life in prison.